Things to do in Santorini: A bucket list for your Santorini Holidays! Santorini is one of the Cyclades islands in Greece that literally has everything I want in an island – hidden and blue domed churches, stunning sunsets, volcanoes rising out of the Aegean Sea, cave houses you can stay in, and whitewashed stone buildings that dot the landscape. Know that your Santorini holidays will to be one you’ll remember for a very long time. I especially loved my time spent on a yacht going around the island and seeing its colorful beaches – red, white, and black sand beaches! Santorini is one of those places I’d gladly revisit over and over again and always stays on the top of my bucket list. And after visiting 74+ countries, I can easily say that the Greek Isles are some of my favorite islands in the world! I have come up with a list of some of my favorite things to do in Santorini and I think you will enjoy them too! Glasses ching as the patrons smile and look out over the villas jutted up next to the mountains with gorgeous bougainvilleas, cactus and fig trees abound. This is the stuff Santorini holidays are made of. The cheer, the setting, the food as well as love is always in the air in Santorini. What is not to love about it? Yamas! “Stin ygia mas!” my host says! “Cheers! To our good health!” And off we go exploring things to do in Santorini. 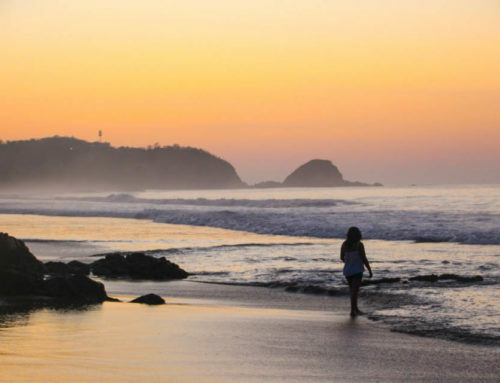 This is one gorgeous island, where people many times choose to come on their honeymoon. I am here solo with a friend, but cannot wait to explore the island further and to one day bring my husband here. After spending a week here, I have made my list of the best things to in Santorini. So come follow along! Rent a car and go to the “Heart of Santorini”, directions on how to get there are on my linked page and see the Chapel of Agios Nikolaos built into the side of the caldera. Pre-organising a rental car is also ideal when planning your trip to Santorini as it allows you to explore all over the island. Typically known for its wine, there is another alternative: Donkey Brewery. They have three brews: red donkey, yellow donkey, and the crazy donkey! Donkey beers have become some of the most sought-after brews in Greece and you will see their products in many of the local restaurants. Stop by the brewery for a quick tour and delicious sampling of Donkey Brewery’s beer. Try the Greek specialty of candied figs with feta cheese and Greek honey, which make for the perfect apertivos. 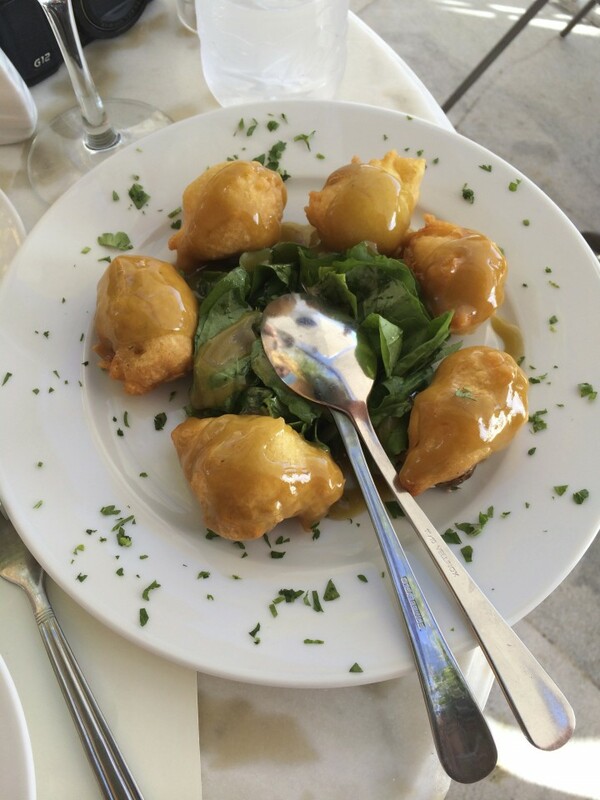 Or how about feta stuffed olives, that are deep fried? Delicious. This archaeological excavation site features ruins from the city of Akrotiri. It was buried by a volcanic eruption in 1700 B.C. You can explore the excavation site where long walkways take you around the entire perimeter of the massive site. Take a catamaran day to sail across the bay to see the smaller volcanic islands that make up the rim of the crater and see the colorful beaches of Santorini. I charted a catamaran with my travel partner and there was only one other couple and the crew. It is a way to catch a glimpse of the caldera from the sea instead of from land and allows you to see some of the most famous beaches (the red, the black and the white beaches of Santorini). It was the best day I had in Santorini and one of the best Santorini things to do. The Red Sand Beach is located next to the ancient site of Akrotiri. It is a small beach that can be seen from the headlands if you decide to not take the rocky path along the mountain to reach the beachfront. The Black Sand Beach (Perissa Beach) is located in the village of Perissa. The volcanic activity on the island is highlighted here in the form of its unique, black sand. Vlychada Beach is the white sand beach. Vlychada is an easily accessible beach by car and located on the south coast of Santorini. The volcano, the wind, and the sea all created this amazing sand and pebbles. They are all worthwhile. Stay in a cave house. The architecture is unique and you will enjoy these houses built by the fisherman years ago and they have now been turned into a modern and luxurious holiday retreat by famous architects. You can take a 9 km hike from Fira to Oia. 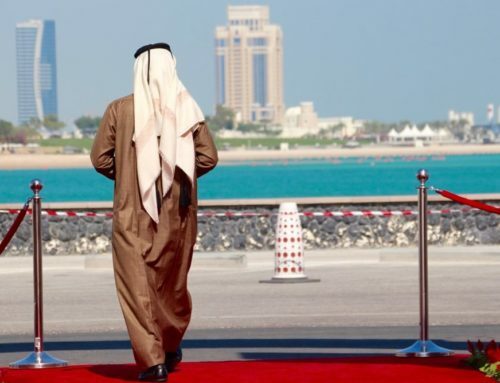 This walk takes about 3 hours depending on how many stops you take. The view is absolutely incredible and one of the most scenic hikes in Santorini. I am sure you will have time to stop and take photos of the caldera for when you need a break. Be sure and wear proper hiking or tennis shoes, and enjoy your time out in nature. Then go watch the sunset in Oia and have a cocktail! 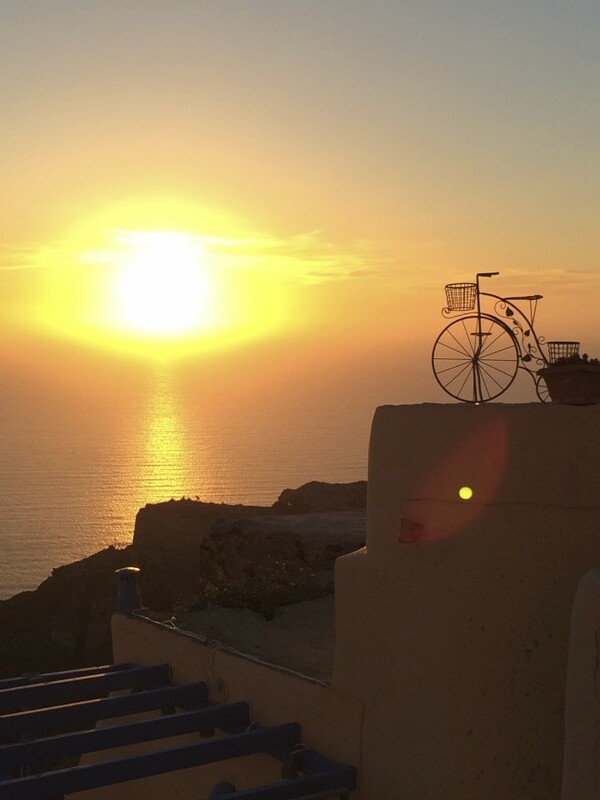 Ok so we included it – after all, when you visit Santorini, a good sunset is a must! Go to Oia and wait for the sun to set. Early birds get the best spots before the tour groups arrive! Literally, this is fascinating, as you have dinner, wine, and conversation, you’ll watch as the sun goes beyond the horizon. 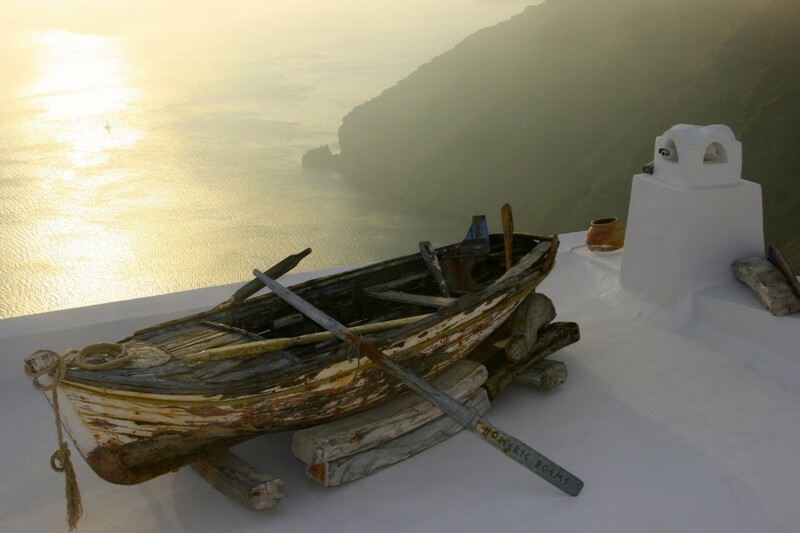 You can also admire it from Fira, Firostefani or Skaros in Imerovigli. The Oia Castle will be packed with tourists, so for a more secluded spot, choose Faros in Akrotiri, where you will be almost the only one there. Or you can choose the highest spot on the island, Pyrgos. Also a must of one of the things to do in Santorini. As you probably know from your Santorini holiday planning, there are so many beautiful sights to capture while exploring beautiful Santorini. To get the best memories to take home and keep, how about trying a photography tour of Santorini? These take you around different parts of the island and are available for all levels of photographers – from beginners to more advanced DSLR users. Down from the cliffs south from Oia, is the port of Ammoudi. Take the path south past the restaurants towards a small Island that you can swim out to (it’s called Agios Nikolaos). On the island, there’s a ledge you can jump into the sea from. The nearby island of Thirassia (that used to be part of Santorini before the volcanic eruption) is well worth the short boat ride for views out over the Caldera and back at Santorini. Boats leave frequently from both the Old Fira Part and Ammoudi with the last one back being at around 5 pm (check carefully or you may have to spend the night!). The Island of Nea Kameni is home to a volcano which you can hike close to, finding sulphur vents along the way. The Crater is about 150 meters up. Note that the only way to get here is by boat on a volcano tour. 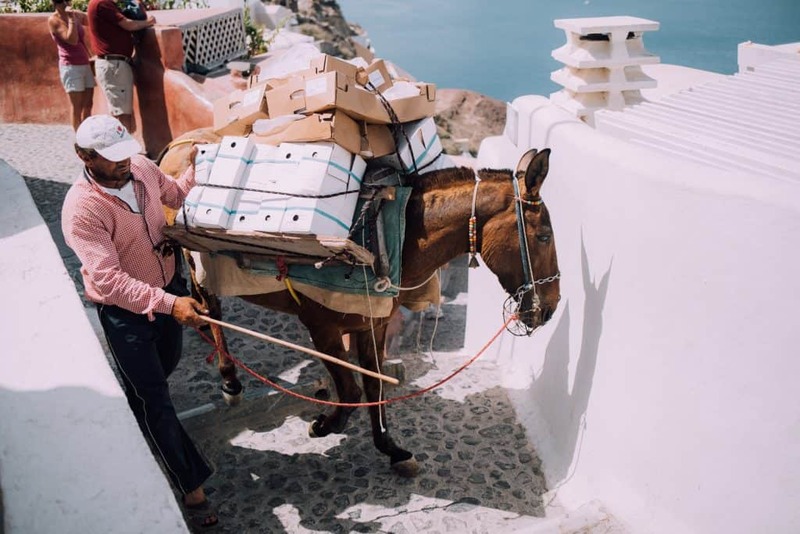 From Fira to the Old Port, there are three ways to get there: take a donkey, walk the almost 600 steps or take the cable car. The cable car goes every twenty minutes and costs 5 euros each way. 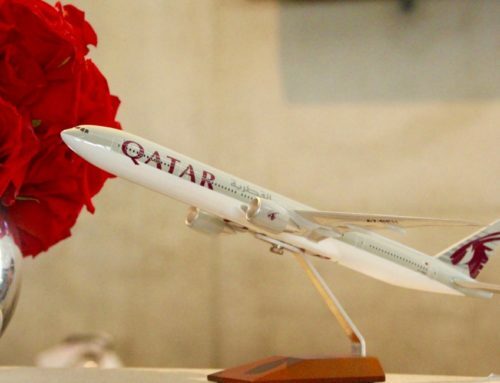 Down at the port, there are tour companies, souvenir and gift shops, and restaurants. 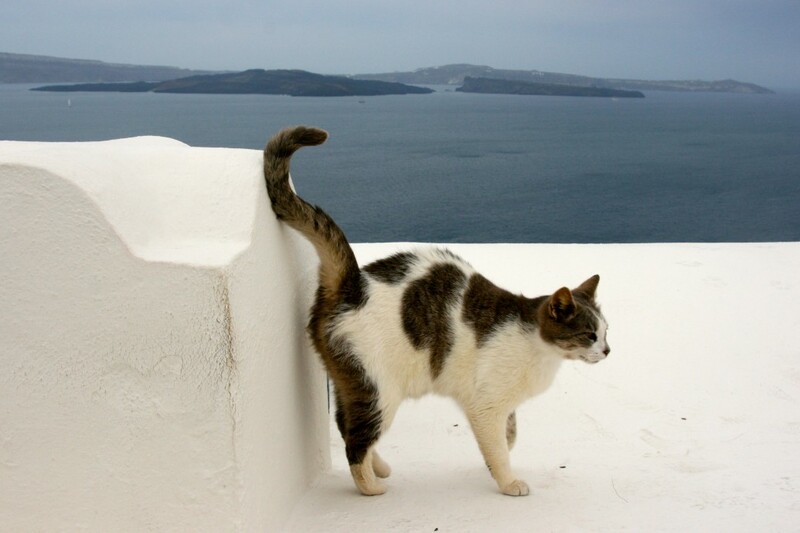 ✦ Things to do in Santorini: #16 Go Cat Spotting! I swear at each and every corner of this island, I would spot one of these beautiful creatures! I don’t know about you, but I simply love cats! As mentioned before, the best times to visit Santorini in the shoulder seasons from April to May (before the summer starts) and from September to October (when the summer ends). During these times the weather will not be as hot and it is definitely less crowded. 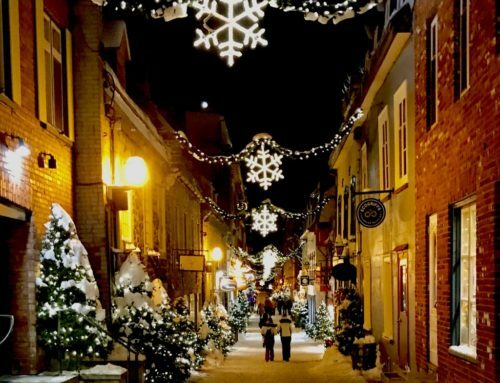 You may not be aware, but many businesses such as restaurants, tour operators, and some hotels actual close for the season! High season is the summer months from June to August. 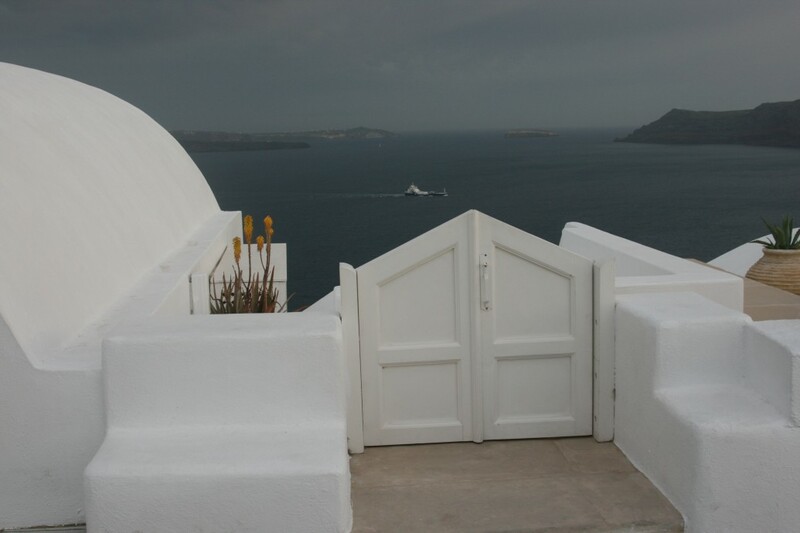 Tourists typically stay in four main villages on Santorini Island: Oia, Fira, Imerovigli, and Perissa. Oia is a popular village in the northwestern tip of Santorini. It has the typical whitewashed houses that are carved into the cliff and overlooks a vast caldera filled with water. 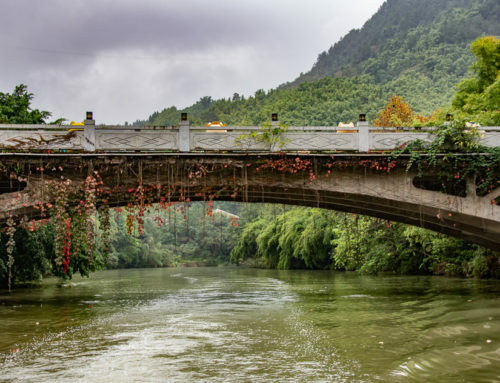 It is one of the most popular places to stay (it tends to be right in the middle of all the action) and is typically a more luxurious area to stay. 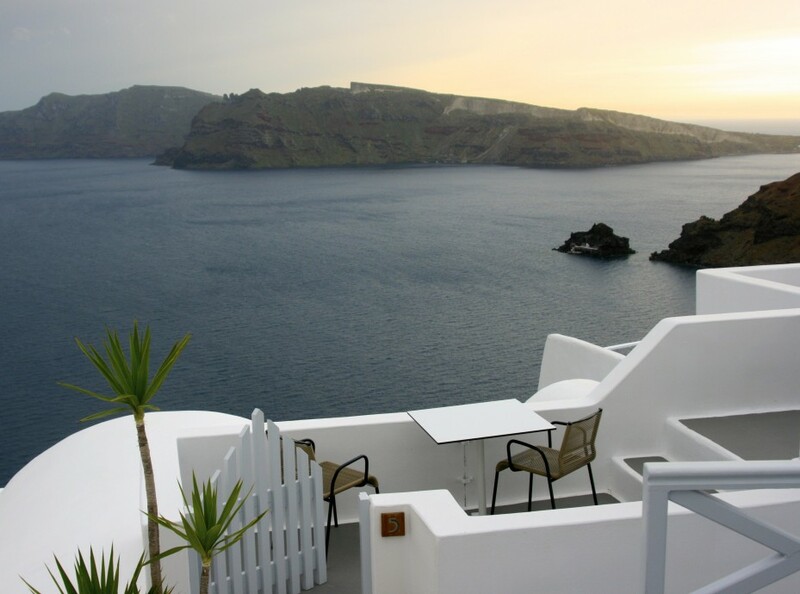 For accommodations: I can recommend Thira Suites and Fava Eco Residences. Fira is the capital of Santorini and its clifftop location has views of Nea Kameni, a still-active volcanic island. 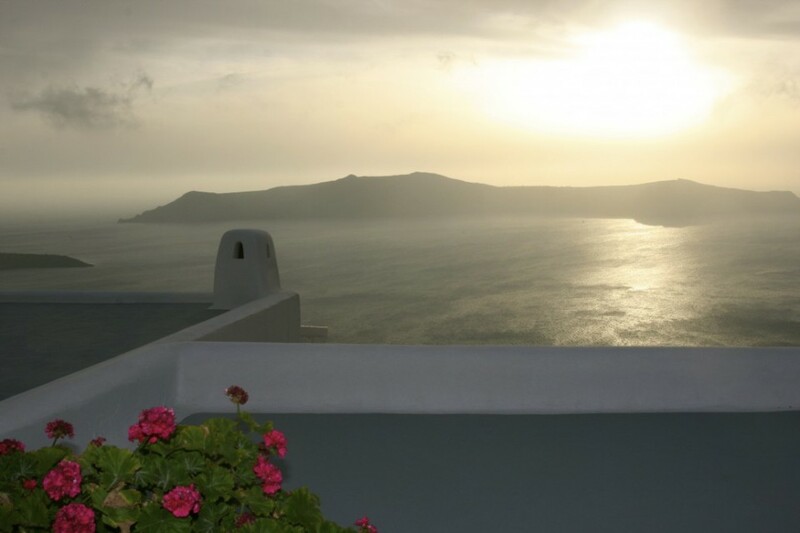 From Fira, there is also a panoramic view of an 11-mile long caldera. 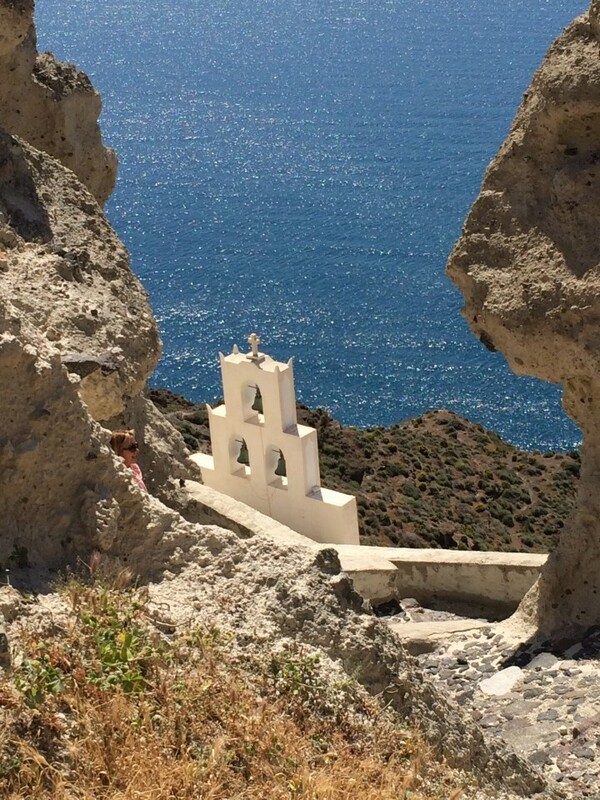 Imerovigli is a tiny village of 470 inhabitants that is next to Fira and is famous for its beautiful sunsets and lovely churches made in the Cycladic architectural style. 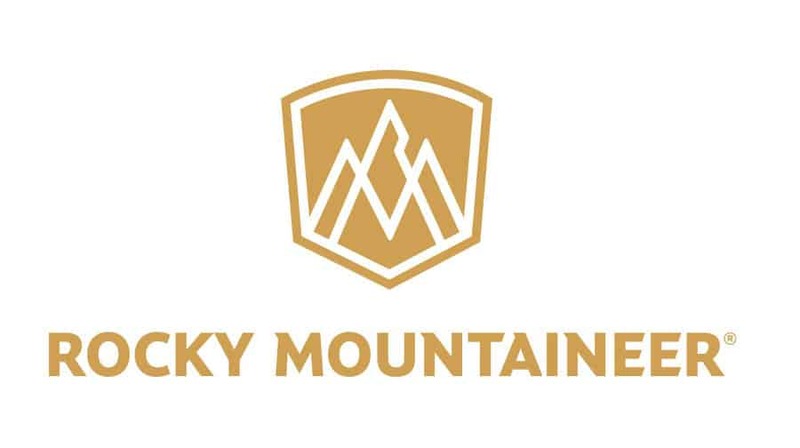 It consists of apartments, hotels, and houses that are built around a caldera. For accommodations: I can recommend Astra Suites, which is a 26-room, 4-star apartment-hotel with a full-service spa and jacuzzi, and of course free WiFi! It is near the airport and also close to Nea Kameni Volcano and Skaros Rock. Perissa is one of the coastal villages known for its black sand beach. And of course, you will find the whitewashed Timiou Stavro church with its blue domes nearby. When choosing where to stay, I can recommend that you choose a hotel that has a private hot tub, an infinity pool, and an amazing view! 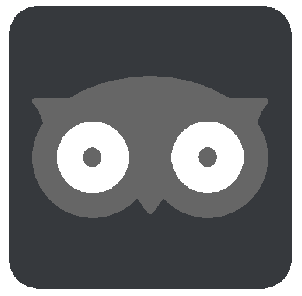 ✦ WIFI And Staying Connected on your Santorini Holidays! Most likely you will have wifi at your hotel, but it is always a good idea to bring along a pocket-sized personal WiFi hotspot to keep you connected during your time in Santorini. WIFI hotspots are typically a cost-effective way to keep up with your latest information from home (emails, social media, etc) and to use when renting a car for your map GPS system. They are usually charged for up to 4-5 hours at a time. 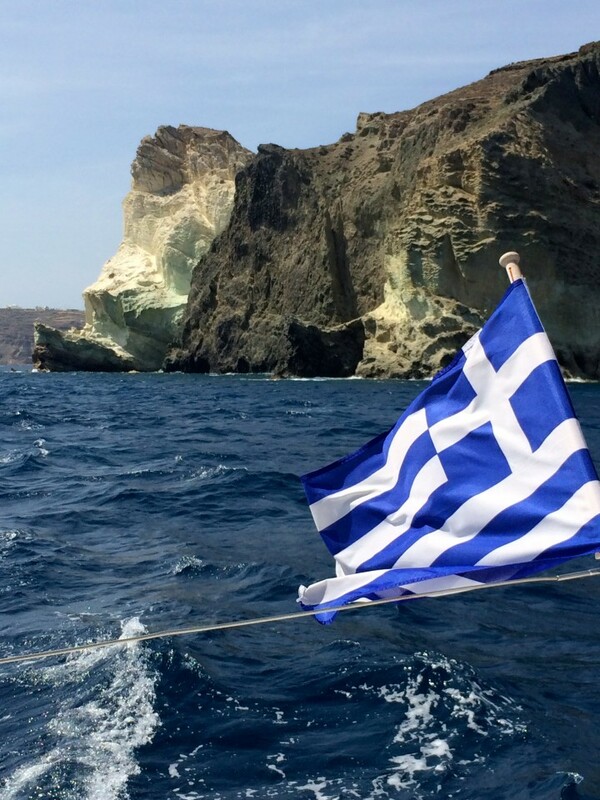 Disclosure: The day I sailed Santorini, I was a guest of Brama Yachts and I cannot recommend them enough. The crew was professional, delightful and fun. They treated us like kings and queens for the voyage and the food was delicious! Wow, Santorini looks amazing. And those feta stuff olive fritters look delicious (and I’m not even a big olive fan). Santorini is stunning and a must for any traveler, plus those feta stuffed olive fritters were amazing as well! Ah I really miss Santonrini, I think it has been over 20 years and those stunning detail images make me want to go back and visit now! If you get a chance, go again! I loved it! good to hear about the sailing adventure. That isn’t something I had thought of. Keep the posts coming. I’m collecting them all for my eventual visit. You, Lance, will absolutely love this! It was the best day I had in the islands! I really love Santorini. My latest post is actually on observing the sunset on Skaros Rock. 🙂 Can’t wait to go back there! You’ve hit the “big 5” to-dos on Santorini! We also enjoyed a day of sailing, with an onboard BBQ lunch of shrimp and mussels and swimming at some underwater hot springs gushing up by an uninhabited lava islet. Your Santorini trip looks wonderful 🙂 – happy for you! I still day dream about it! Santorini is really gorgeous, and you captured perfectly its beauty. I’ve been to Greece before but not to Santorini. The fig fritters look delicious. Good idea for a dessert. We’ve got plenty figs here in Croatia. I’ll definitely try to make this at home. Thanks for sharing! Thanks so much for your compliments, but it takes the photos itself! so easy to get a great photograph here!